What's more fun than throwing a dinner party for friends? Good food, wine, and lots of laughter are keys to a happy life. 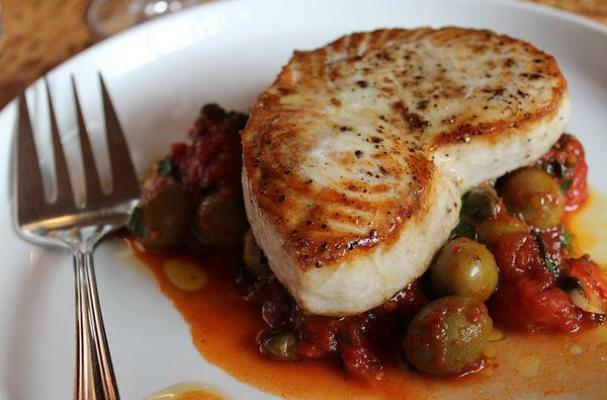 Below are some of my favorite recipes for an elegant Spanish-themed dinner. 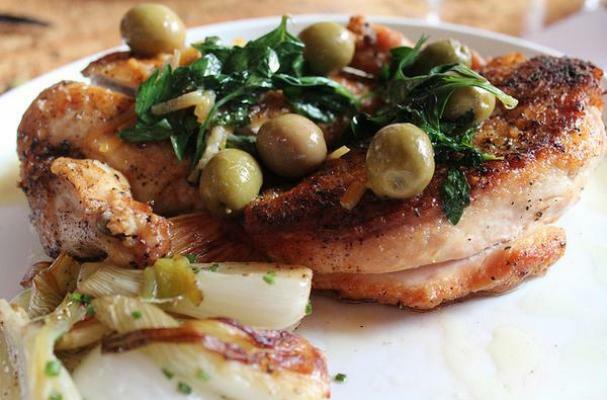 From easy-to-make Fried Black Olives and an even easier appetizer of Serrano Ham with Gordal Olives and Orange Peel to a delicious Roasted Chicken with Preserved Lemons and Manzanilla Olives and a scrumptious Salmon with Lentils, Bacon, and Gordal Olives. Can't find Spanish olives? Check Amazon.com or simply use a green Italian variety. And what goes better with dinner than a great wine? Check out our EVERYBODY WINS wine giveaway with Underground Cellar below! 100 lucky winners will receive $50 gift cards, but everyone else gets a $10 gift card just for entering! That's what I call awesome! 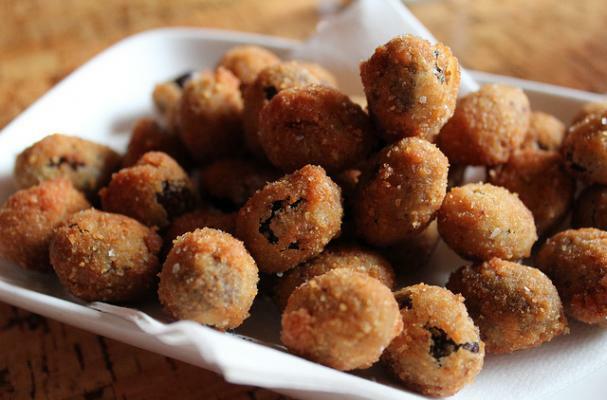 These little fried morsels are Mediterranean comfort food. They're the perfect fun, delectable, and easy appetizer! This is easy appetizer can be prepared in a flash and it makes for a gorgeous presentation. 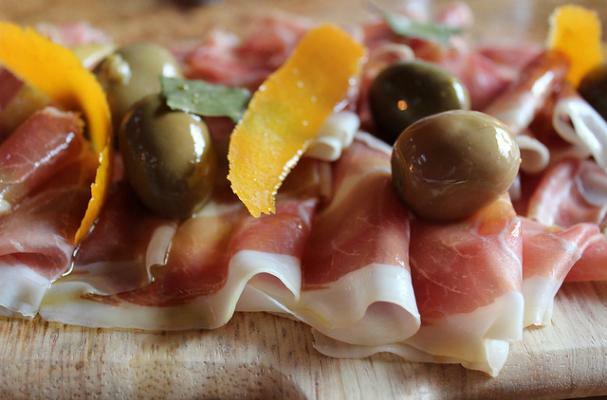 Simply place Serrano ham in loose ribbons on a plate. Garnish with Gordal olives, generous pieces of orange peel (use a vegetable peeler to create ribbons), a torn bay leaf or two, and drizzle with Spanish extra virgin olive oil. This perfect-for-any-season salad packs a flavorful punch and will wow your guests! This easy chicken recipe takes only minutes to make but your guests will think you slaved over a hot stove! Chicken breasts are simply seared first in an oven-safe pan until the skin is browned. Fresh rosemary sprigs are added then the whole pan goes into the oven until the breasts are done (about 10-12 minutes). 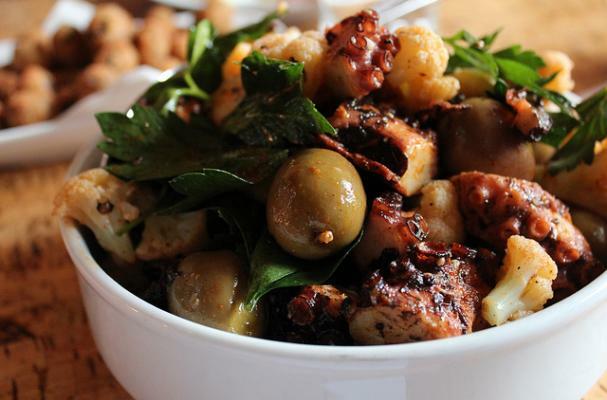 Manzanilla olives, preserved lemons, lemon juice, parsley and olive oil are added to the pan to complete this robust and brightly flavored dish that has the delicious essence of both Spain and Morocco. This rich, rustic and flavorful Spanish recipe combines the bold and fresh flavors of olives with the bright accents of citrus. It's the perfect dinner party recipe! 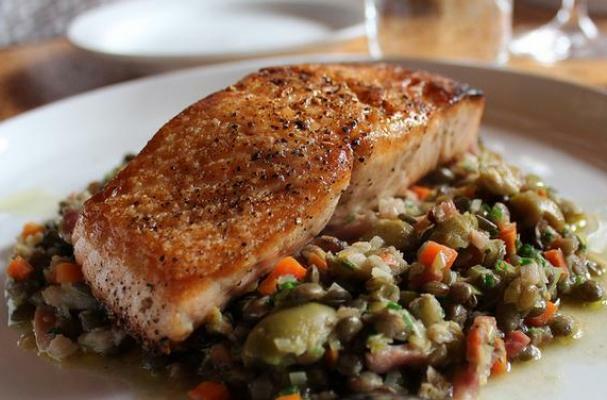 This elegant salmon recipe features hearty lentils and flavorful Gordal Spanish olives. Lentils are simmered in chicken stock with crispy bacon, shallots, carrots and leeks then brightened with olives and chives. Tender filets of pan grilled salmon are served over a bed of lentils for an unctuous dish that's perfect for any night of the week! 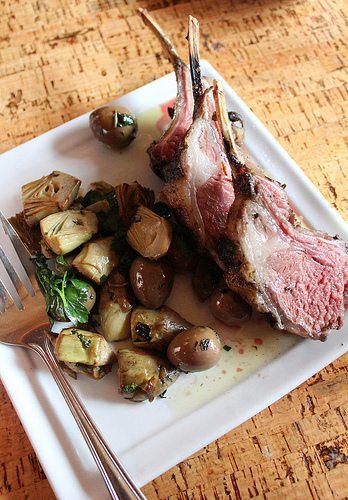 With a tender, herbed flavor, this dish blends the hearty and rich tastes of lamb with the silky smooth textures of Gordal olives and artichokes. Enter to WIN the Underground Cellar Wine Giveaway! EVERYONE WINS! 100 lucky winners will get a $50 gift card! ALL other participants will get $10 gift cards! Underground Cellar is the hot new online wine startup which allows buyers to score amazing deals on fine wine. Every bottle you buy could be upgraded for free to an even higher-end bottle plucked from the winemakers private stash. Seriously, when's the last time you drank an $100 bottle of wine...that you scored for just $15? This giveaway runs from Sunday, February 16th to Sunday, February 23rd. 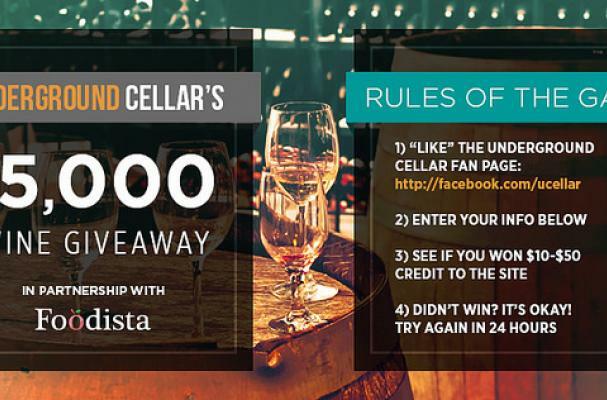 Enter the $5000 Underground Cellar Wine Giveaway here! Stay in touch with Underground Cellar!